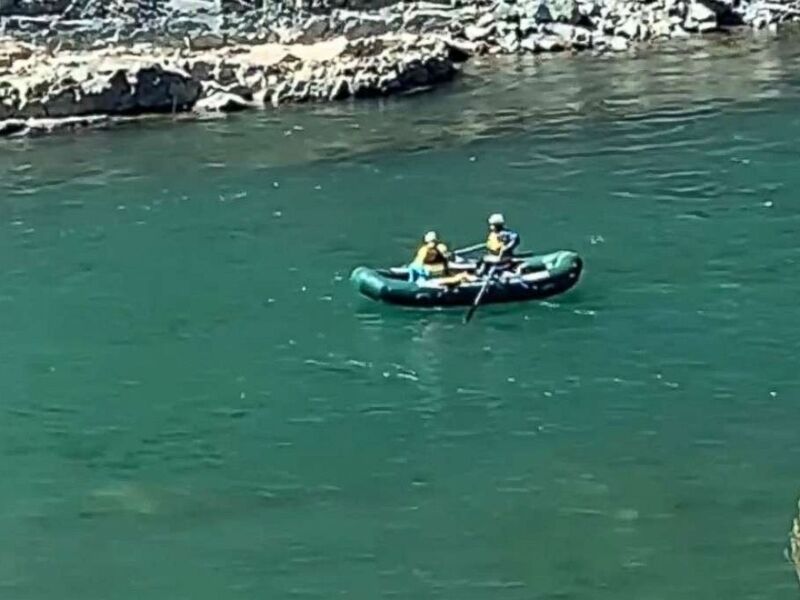 AUBURN, Calif. (ABC News) — A California man died after falling into "swift and choppy" river waters while taking pictures with his fiancee along the shore, police said. Police recovered the body of Andy Odon Ortega Fonseca, 23, on Monday afternoon, a day after he fell into the American River confluence in Auburn, California, while enjoying a night on the town with his wife-to-be, the Placer County Sheriff's Office said in a statement. He fell in while trying to capture a picture and "was unable to get out of the swift moving water," the office said. "We can’t stress how dangerous river water is, especially during this time of year when the temperature ranges from 38-45 degrees Fahrenheit and the flows are swift and choppy," the office wrote in a Facebook post. "It is easy to get swept under the current, even when the water APPEARS to be calm. It is merely a deception." The office did not say exactly where the man was located. The sheriff’s office shared Facebook video of a helicopter flying over the area as rescue workers searched the river. The office said the Placer County dive team, park rangers, Cal Fire crews and the sheriff's office's air unit participated in the search. The office said residents should avoid getting into the river until June when the temperatures increase. "PLEASE avoid getting into the river until after June when the flows have calmed down, and instead, visit your nearest lake — the water is warmer and less dangerous," the Facebook post said.